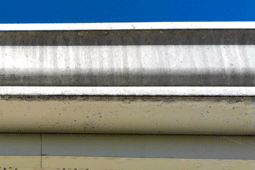 What Results Can I Expect With a Low-Pressure House Wash? "This one delivers 2,700 psi... but for only $100 more you can get this one here, which, with 3,000 psi at the tip will really get you cooking!" 'Cooking' indeed. Unfortunately, it's sometimes not until the siding has dried off that the poor homeowned first notices the harsh stripes they've permanently etched into the side of their house. Cooking? 'Toast' is a more appropriate description. At Cyclone Window Cleaning, we do possess a commercial pressure washer which is capable of delivering 4,000psi, however when washing houses, we'll rarely apply more than about 60 psi to the surface being cleaned. Your garden hose probably has a similar amount of pressure. It's so light, that we can even rinse off our hands in the stream of water coming out of our powerful machine. Yes, a more effective clean (and a safer one) is achieved through low pressure methods; which some call "Soft Washing". 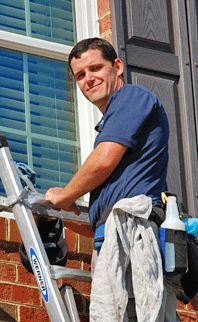 Careful selection of detergents, careful application, and careful rinsing will eliminate - not only the dirt and algae that's been ruining your curb-appeal - but also the chance that your siding will be damaged in the process. All of that said, low pressure house washing does share three limitations with high pressure cleaning, which are outlined below. 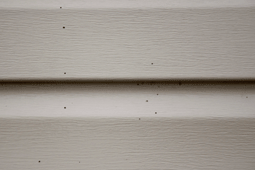 Ever seen those little black dots on your siding and/or windows that don't wipe off when you try to? They seem almost like little poppy-seeds stuck on the side of your house, and they appear to be concentrated around your flower-beds. Well, those are spores from a fungus commonly called 'Artillery' or 'Shotgun fungus'. The fungus often arrives with that new garden mulch you usually order around Spring time. Low pressure washing certainly will not remove those spores - in fact, removing them at all is a very difficult and time-consuming process. Fortunately, since they're so small, they are usually only noticeable from up close. 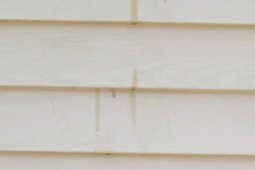 Sometimes you'll see a brown drip mark on your siding after the house has been washed. Sometimes this will occur even hours after we've finished and left. What causes this is a small amount of water that worked its way behind the siding during the washing process. There it can mix with dirt or even insect nests and carcasses, after which it will unexpectedly drip out into view. Our careful technique of washing usually minimizes this possibility, but there's no way to guarantee that this won't happen from time to time. Usually the next rain (or squirting it with your garden hose) will get rid of it - and if it doesn't, a light wipe with a damp rag will. We're sure you'll agree, however, that the above limitations are "minor" at best. You'll have to squint to see #1, a "Smart" package will take care of #2, and #3 will disappear the next time it rains. And eanwhile, all that dirt, mold, algae will indeed be gone, leaving you with squeaky clean siding! We're confident that you'll simply adore the results of your house wash! Want to try Cyclone's meticulous, courteous, matchless service for yourself? 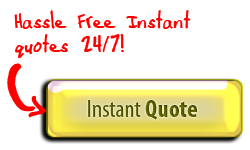 Then submit a FREE, Easy, Same-Day e-Quote now, or check out our pressure washing, window cleaning, gutter cleaning, or screen repair pages for more detail!